Mariners is centrally located on the waterfront of Batemans Bay in Orient Street. The coastal resort town of Batemans Bay is situated on the NSW South Coast of Australia on the coastal Princes Highway No1. It is four hours by road from Sydney and only two hours from the capital, Canberra. FacilitiesMariners offers many facilities for the enjoyment of guests. These include a fine bistro offering fresh seafoods and Australian cuisine and serving breakfast and lunch and dinner 7days. A swimming pool located in the waterfront lawns is ideal for children and adults. Queen bed or queen and a single bed, bathroom with shower and toilet. Free Wifi - foyer only, not in the rooms. Queen or queen and a single bed, bathroom, tea and coffee, views across the Clyde River. 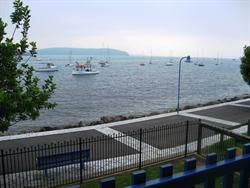 Mariners is centrally located on the waterfront of Batemans Bay in Orient Street. The coastal resort town of Batemans Bay is situated on the NSW South Coast of Australia on the coastal Princes Highway No1. It is four hours by road from Sydney and only two hours from the capital, Canberra. AccommodationYour room will look out over the Bay where sailing boats lull at anchor and pelicans fish. Our rooms offer all facilities and have been designed for your comfort. Each room has a balcony with exquisite views. We cater for families, individuals and groups. Our deluxe rooms include large balconies. 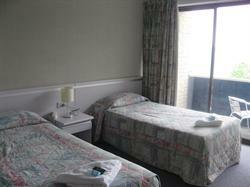 Our standard rooms are 2 or 4 person, FacilitiesMariners offers many facilities for the enjoyment of guests. These include a fine bistro offering fresh seafoods and Australian cuisine and serving breakfast and lunch and dinner 7days. A swimming pool located in the waterfront lawns is ideal for children and adults.